You're kidding, right? Already?!!!! Gah! That sweater is beautiful. 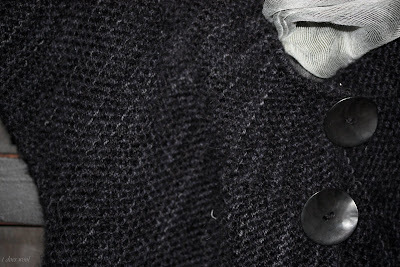 The combination of yarns is perfection, and the button is just the right touch. Really lovely. um, some of us are newly covered in snow. 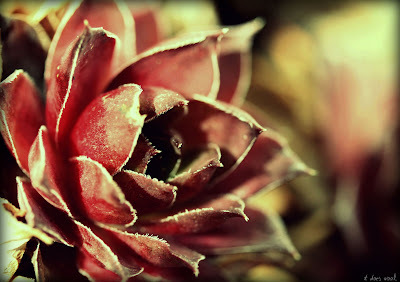 Spring sounds appealing right now, but it doesn't seem so close! What spring? I think am starting to get impatient waiting for it to come. Beautiful stitches and touches. Again, I am not surprised. I love the yarn combination too, and the buttons are perfect! Lovely! 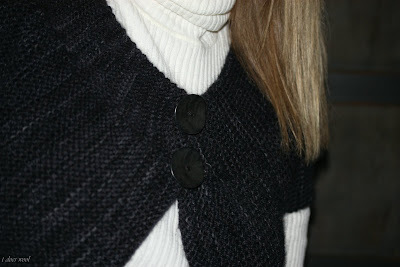 The buttons are a great finishing touch to a lovely sweater. So pretty!!! Love the subtle shimmering of the variegation and the buttons are perfect! The buttons are perfect. As always a beautiful post to go with a beautiful sweater! That sweater is gorgeous! Nice work! How beautiful. 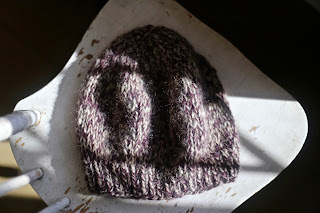 I don't think garter stitch has ever looked so good! And those buttons - as perfect as the cherry on a hot fudge sundae. Sigh. That is really lovely! Really really lovely! I do not look forward to daylight savings time being changed. I'll miss the dark settling in around 5:30. Your sweater is lovely. Rows and rows of garter stitch, how can one go wrong? Love, lovely, lovely! I love how you paired a classic design with an amazing yarn to create your own unique designer piece! Do we really change the clock this weekend???? The differences in tone make it look as though it's been woven, not knitted. It's beautiful. Just like spring, who is being ever so slightly shy just now. Lovely! So inky and lovely!! The finishing touches certainly add an air of sophistication. Oh, it's BEAUTIFUL, BEAUTIFUL, BEAUTIFUL! This came off of your needles perfectly. Spring feels close to me too. It was in the sixties yesterday and today it's raining like crazy. I love it! i am a week late. please forgive me! that sweater is absolutely beautiful. every little stitch. 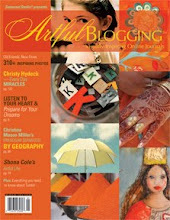 I just found your blog and loved it! The sweater is beautiful! What is the pattern? 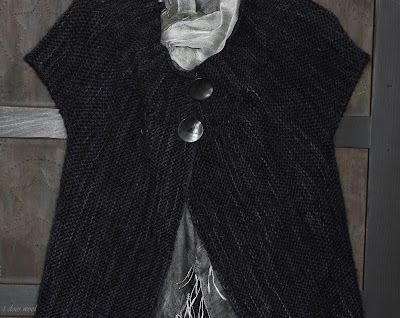 Love this cardigan and would like to make one! Is the 'gilet' link to the pattern the only one available? Not sure I could translate a French knitting pattern? !